It had been a while since I planned a big dinner, and I decided I wanted to make a Mediterranean feast! 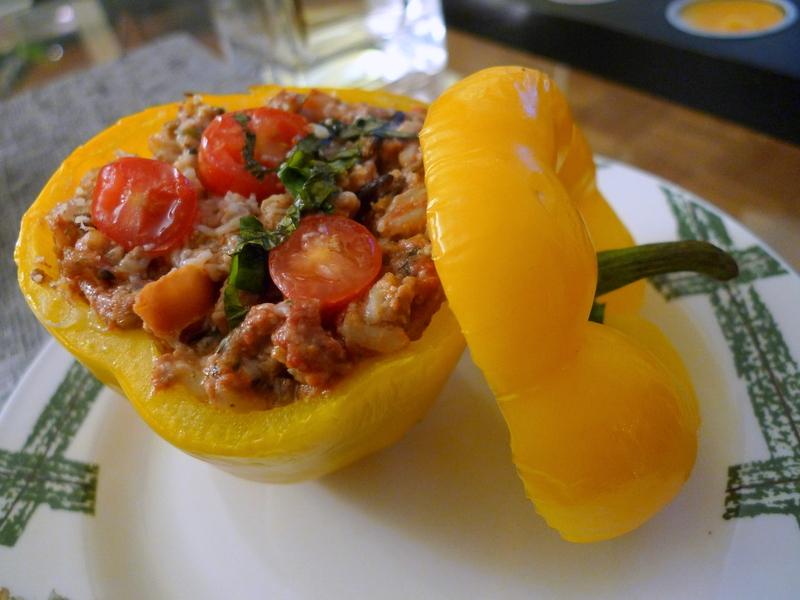 I had fallen in love with Stuffed Capsicums (Peppers) while I was in Greece, and it was one of the first recipes I tried after buying The Essential Mediterranean Cookbook. 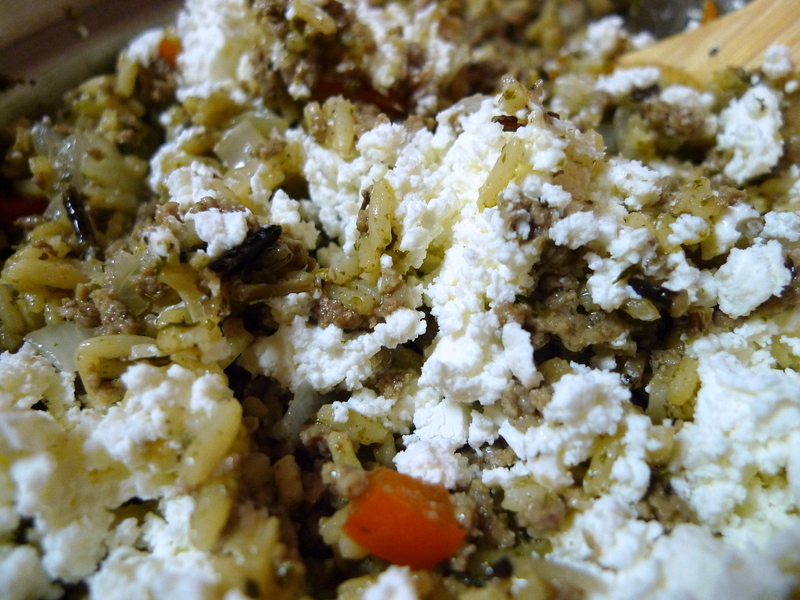 I decided to ramp up the recipe this time around after stumbling upon one at Teri’s Kitchen, which added goat cheese and ground beef to the mix. I edited it a bit to work with the ingredients I had on hand and I think the results were delicious! Try serving these with a couple refreshing meze dishes such as Marinated Feta with Olives and Tzatziki for a complete Mediterranean feast! Preheat oven to 350°F. Cook the rice according to package instructions. Set aside. Bring a large pot of water to a boil. 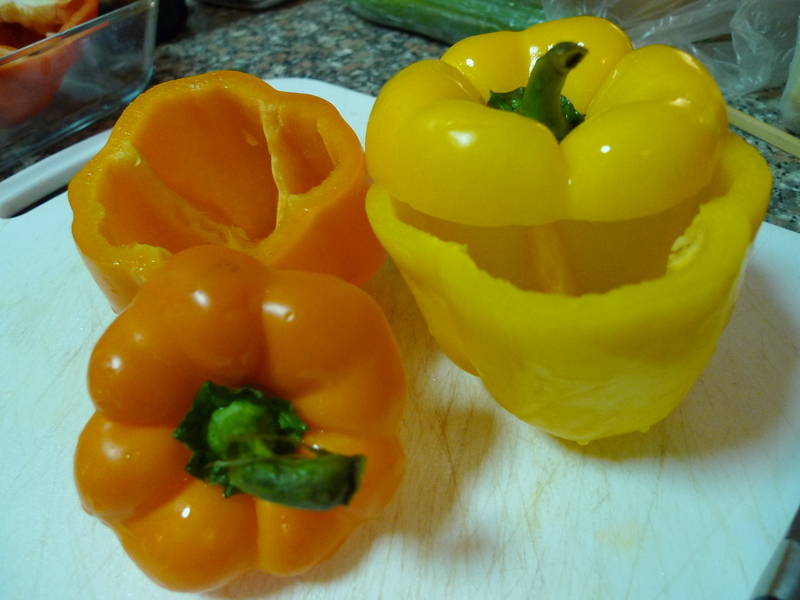 You can either cut the tops off the peppers or cut the peppers in half vertically. 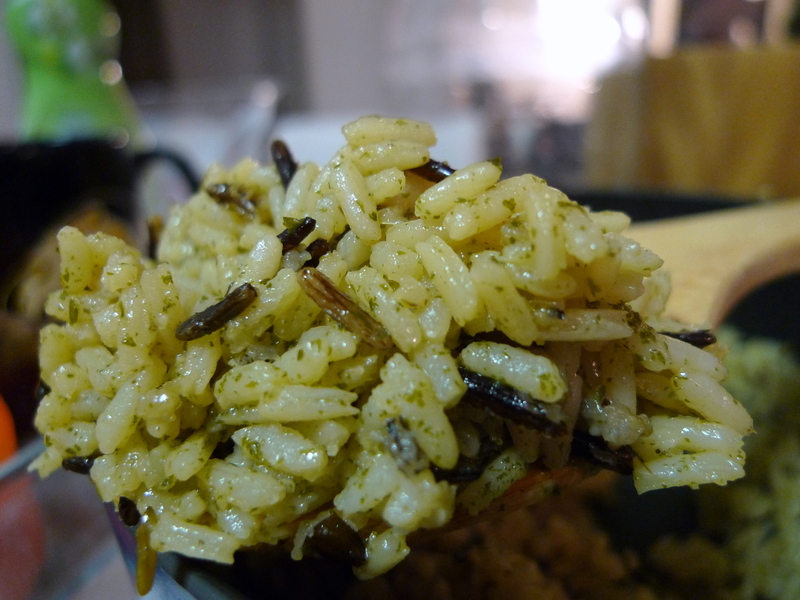 I tried both methods and my verdict: the former method is a bit “prettier” for presentation purposes, but the latter method is a lot easier to eat… so choose whichever you prefer! 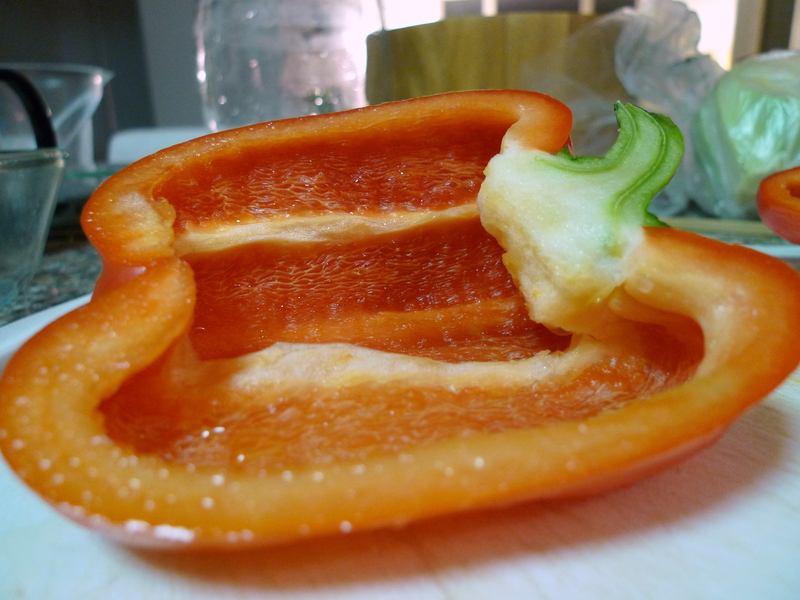 Remove the membranes and seeds from the peppers and discard. Blanch the peppers in the boiling water (not the lids) for 2 minutes, then drain and leave upturned to dry on paper towels. Heat the olive oil in a large skillet over medium high heat. 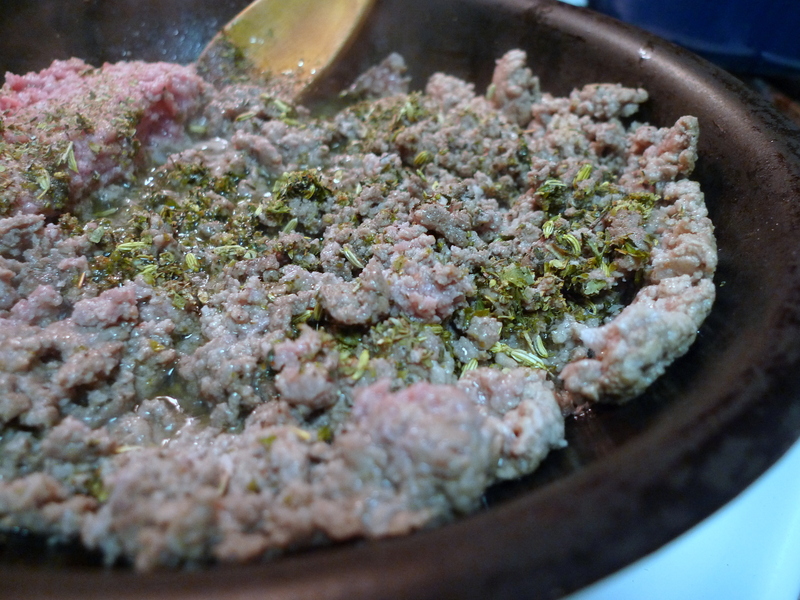 Sauté the ground beef until browned, stirring in the fennel and other dry herbs. Season with salt and pepper to taste. 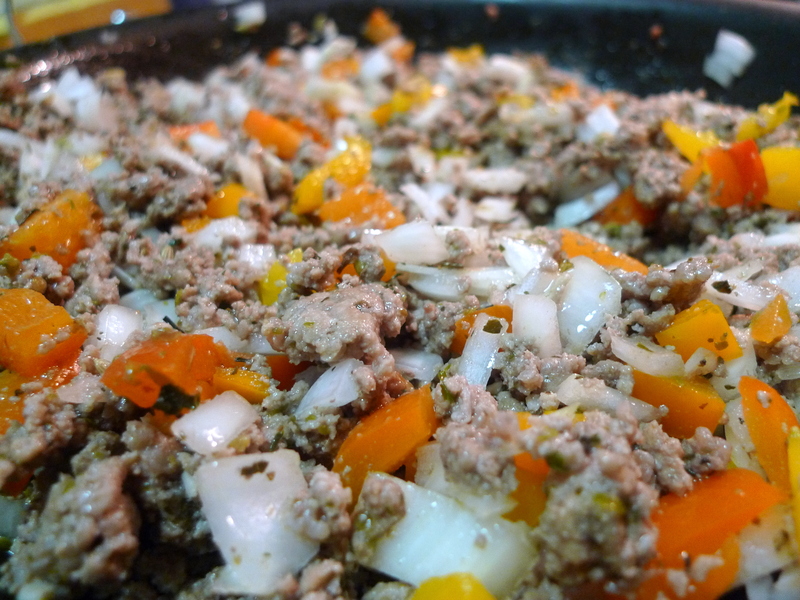 Add the onions and chopped peppers to the pan; cook until softened, about 4 minutes. Add the garlic and sauté for another minute. Remove from heat. 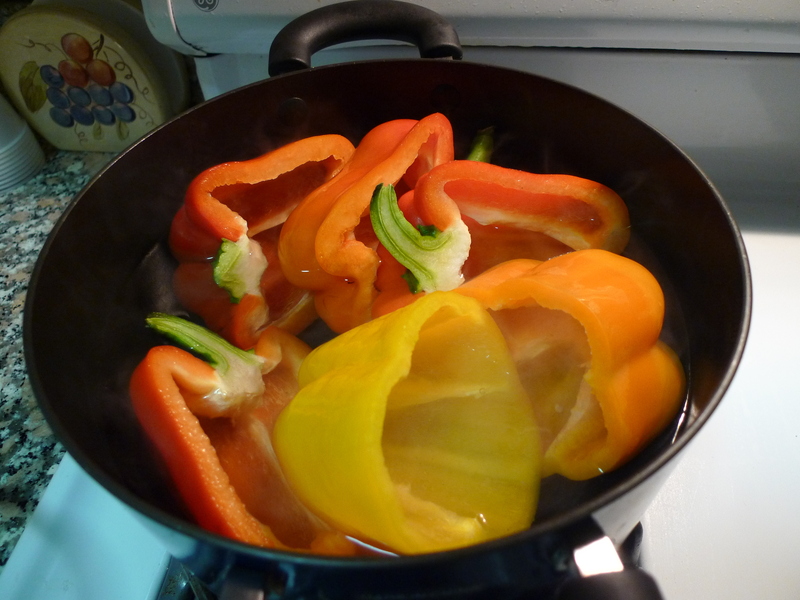 Place the peppers in one layer in a lightly oiled or sprayed baking dish. In a large bowl, mix together the ground beef mixture, rice, goat cheese, 3/4 of the diced tomato, tomato paste, and 2 T of Parmesan cheese. Taste for seasoning and adjust as needed. Stuff each pepper with the mixture. 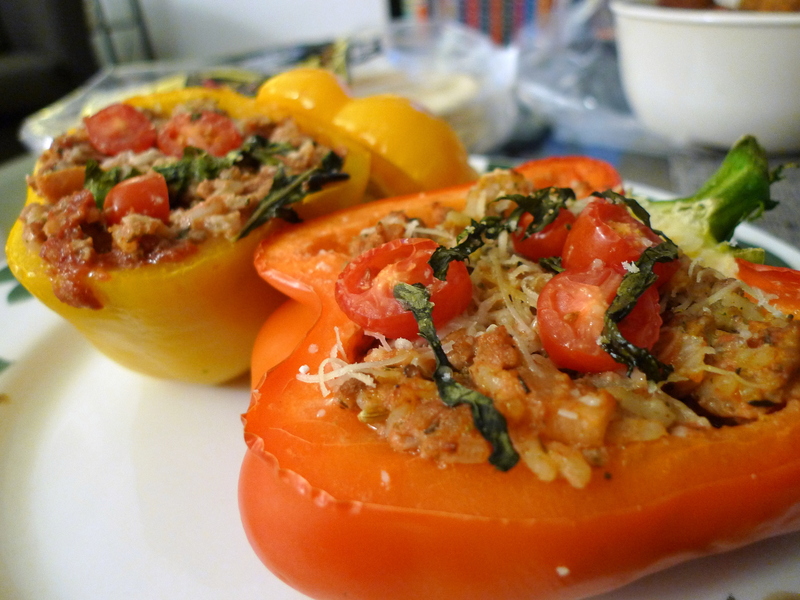 Top each pepper with the remaining diced tomatoes, fresh basil, and the remaining 2 T of Parmesan cheese. Pour 100 ml (3 1/2 fl oz) boiling water into the dish. 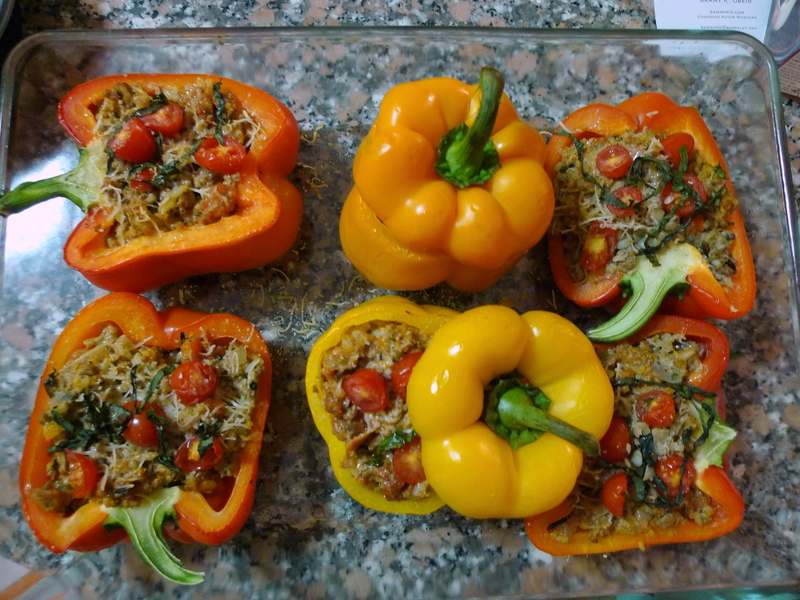 Bake, covered (or just replace the lids depending on how you cut the peppers), for 40 minutes or until the peppers are just tender when tested with the point of a small knife. These can be served warm or cold. Also, try serving with a Greek Salad or with a Falafel Sandwich with Tzatziki. SOOOOOO good that i’m eating it for breakfast the morning after!!! i’m gonna eat these little peppers and stuff my mouth to my heart’s content! made them for 4 other people and they were super surpised at the deliciousness and wholesome goodness of it all!! will def try this one again! this is such a simple and great looking recipe. after going through a few on the website, this is the one i imight make first. LOVE LOVE LOVE this recipe. SO delicious. Tried these last night and they were so great! Amazing recipe. Thanks!! This looks yummy but is it okay if we can substitute goat’s cheese with other cheese? YUM. 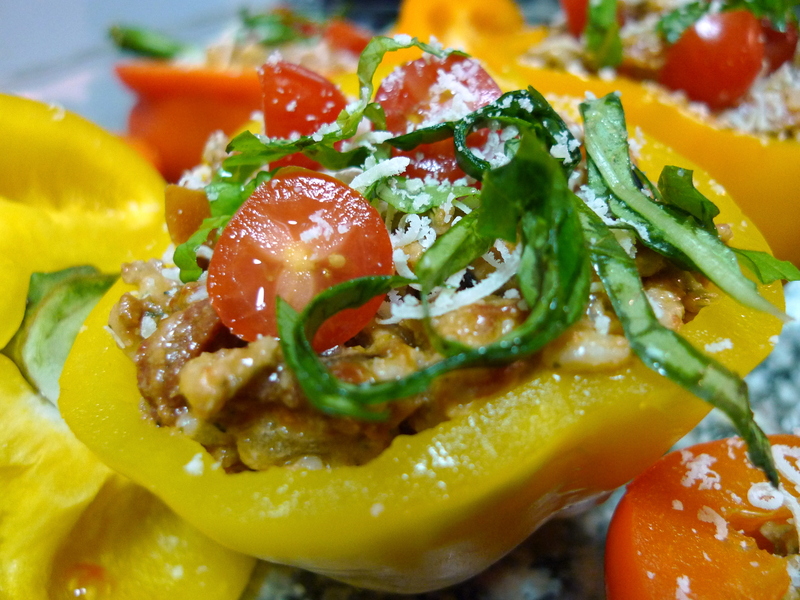 The only way I like peppers is baked and stuffed, just like mom used to make. Beautiful, colorful photos! Thanks for reminding me of a wonderful dish.